There’s a challenge that all businesses, particularly start-ups, face every day. It’s that helpless feeling you get while staring at the economic activity zooming by — outside your door and through cyberspace — and wondering how to get a couple of those people to stop, discuss your offerings, and sign on as a client. It’s a tall order. But we all go through it. In many cases, your friends and families may get you started with a few small accounts. But of course, those connections run out pretty quickly. At that point, you must find a way to “cross the chasm” by stepping into those areas where nobody knows you — so you can get to know them, gain their confidence, and close deals. Finding the Needle in the Haystack: How Can You Identify Promising Leads? Once your business opens its doors, you’ll find pretty quickly that you have a long list of names collected from web forms, contests, social media followers, cookies, and other channels. There must be a way to turn that list into conversations with actual people who can listen to your pitch and determine whether your business can help solve their problems — right? Here’s one way to proceed. Take your list of leads, invite each person to lunch, and use those meetings to assess whether there’s a fit. Unfortunately, that approach will make you two things: well-fed and broke. Clearly, this isn’t a strategic approach. And without any money, your business dreams will come to an end. All of that to say — don’t go making lunch reservations just yet. 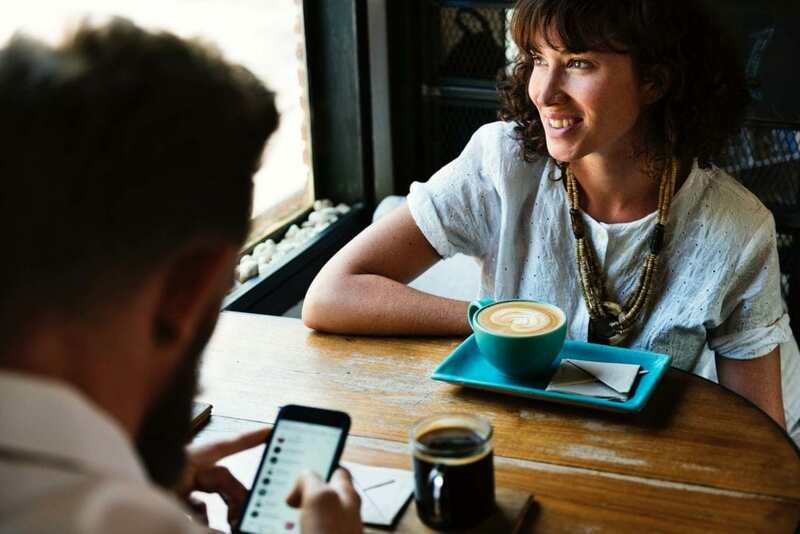 Before you sit down with a potential customer at a table in their preferred restaurant, follow these steps to make sure the meeting is warranted, focused, and productive. There’s a methodological and targeted approach to better lead management, and it involves filtering that mass of leads through a defined sales pipeline. By working your way through a structured sales process, you can identify each lead’s needs and determine if your business can provide the solution. This saves you from investing too much effort into chasing leads who aren’t a good fit. Only once you’ve moved through the first few pipeline stages will it be time to schedule a face-to-face meeting. Prospecting: Determining the level of interest a potential customer has in your product or service. Qualification: Qualifying a lead according to criteria like how interested they are and how likely they are to purchase or sign a contract. Needs Analysis: Determining whether or not your product or service is a good fit for their requirements. Value Proposition: Understanding what the value of your product or service is — and more importantly, determining how valuable it is — to your lead. Identify Decision Makers: Identifying the person or people with the power to make purchasing decisions, and developing a direct relationship with them. Perception Analysis: Determining how the lead perceives your product or service and what their expectations are of you. Proposal / Price Quote: Creating a customized quote and/or proposal to submit to your lead. Negotiation / Review: Working through the final details of the deal. Closed: Either Closed Won or Closed Lost. The “Closed Lost” outcome may sting. However, the lessons learned are essential for getting more “Closed Won” scenarios in the future. As your leads progress through your sales pipeline, it’s essential to recognize that all those contacts are more than just names on a list. They’re people. And as people, they have their own priorities, values, demands, challenges, schedules, and problems. Your priority should be to engage with as many qualified leads as possible in face-to-face discussions where can truly listen to their needs and challenges. Then, you can respond by illustrating how your company can solve their problems and pain points. The importance of developing personal relationships cannot be overstated. A prominent CEO called it “strategic lunching” — using those daily lunch appointments to keep those connections thriving. Whatever you call it, the point is: it is all about relationships. Those relationships are the core of everything you do. Without those relationships, there is no business. A quick conversation with any account rep will confirm for you that this is the bread and butter of their world. Prepare, prepare, prepare. Make sure you approach every point of contact — whether it’s an email, phone call, meeting or social event — prepared to do your best work. When was your last communication with the lead? What did they say was their main concern? What about others in their industry — what are their concerns? Perhaps those conversations can give you greater insights into your potential client’s problems. Doing your research in advance and having that information at hand is the only way to make the most of your meetings and interactions. Have you ever come to a meeting unprepared? If you have, then this advice should ring true for you. Most people only go to a meeting unprepared once, because it’s not a pleasant experience. You won’t want to do it again. Establishing a sales pipeline and tracking information about your leads are crucial activities. But they can be time-consuming. Creating spreadsheets and manually entering data takes time away from the stuff you should really be doing: learning about your potential customers, their industries, and how your offerings fit their needs. This is why streamlining and automating your lead management tasks is essential: it ensures that nothing is overlooked. It’s like having a second set of hands. Automated lead collection saves time and eliminates costly double data entry. An integrated lead generation form on your website immediately creates a lead and sales opportunity in your system and sends you an email notification. You can create and send estimates right within the platform, even connecting with accounting software like QuickBooks and drawing on the data that’s already there. When it comes to managing leads – entering them, tracking them, and turning them into sales – Method:CRM does a lot of heavy lifting. Most importantly, Method:CRM stops sales leads from falling through the cracks. You can use the built-in sales pipeline to see the value of each opportunity based on your probability of closing the deal. This allows you to prioritize which leads to follow up with first. You can also keep a record of every email, call, and meeting, ensuring that you provide seamless service as you convert leads to paying customers. When you’re working with Method:CRM, you even have the ability to import existing contacts from your other databases, making it easier to see everything and everyone in one centralized location. After all — the sooner you develop an organized lead management strategy, the sooner you can start closing deals over lunch.